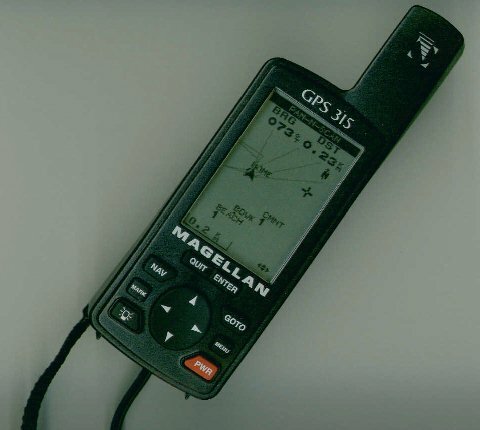 This GPS receiver is powered by 2 AA batteries. 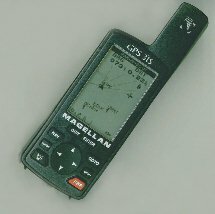 They are only strong enough for the GPS to stay on for about two hours, and this seems like quite a waste. I would like to be able to use a larger battery, and sometimes even an AC adapter. 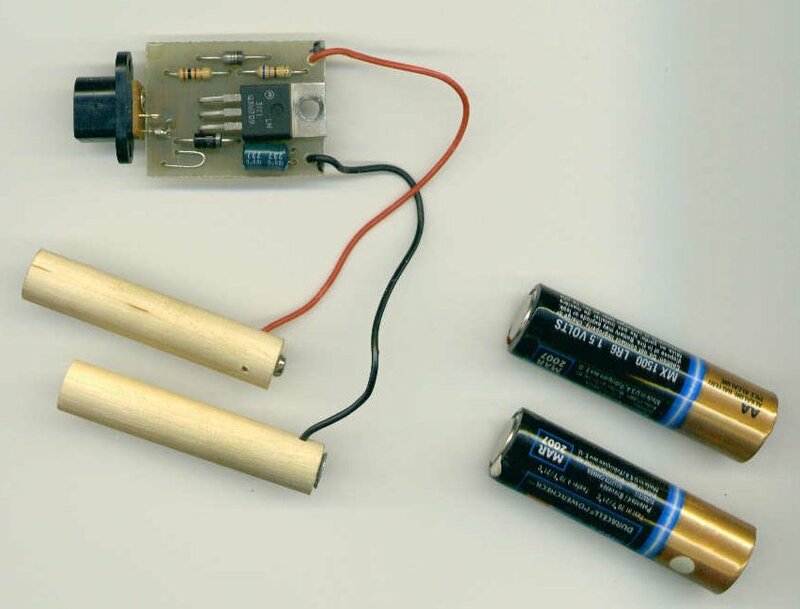 Make a small circuit board that sends a constant 3 volts into the battery compartment, and that is powered by any low DC voltage. It will be mechanically compact, even including a heat sink. 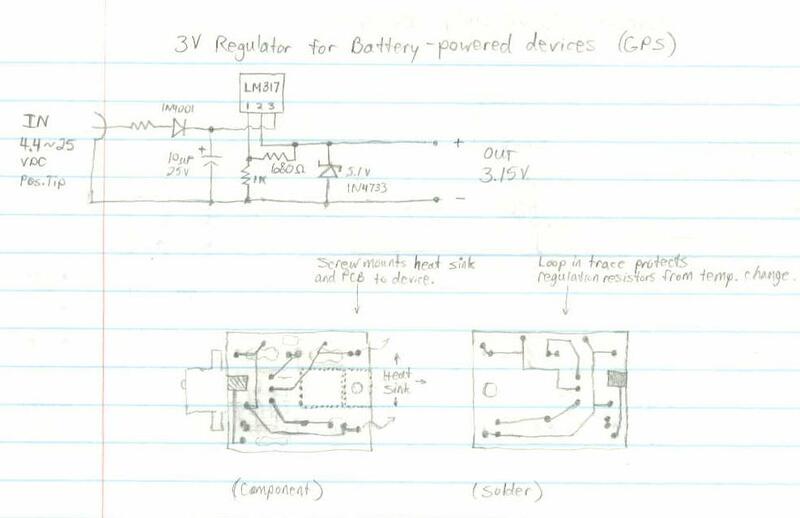 After some planning and a few calculations, I came up with the circuit in the first diagram. 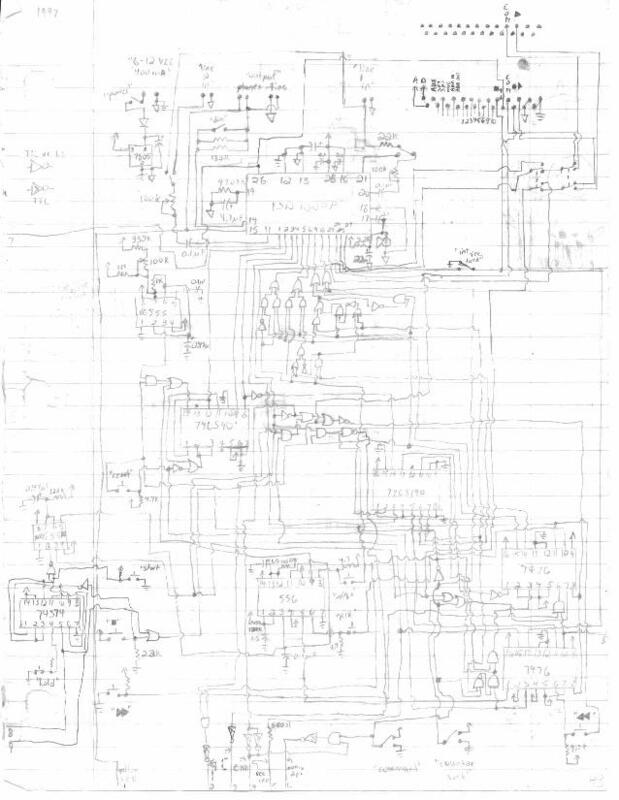 Following this, I decided to build the circuit on a PCB (Printed Circuit Board). Using the circuit diagram, I laid out the PCB diagram (left), and then made a (slightly improved) mirror image (right). 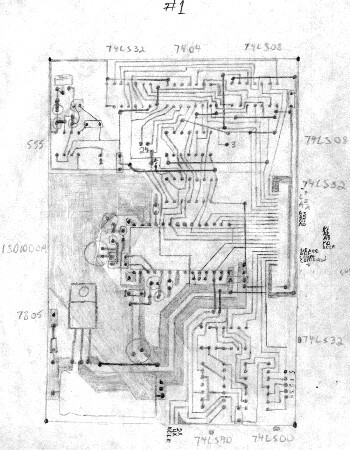 Because this is a simple circuit, it was okay to design the circuit board by hand, without precise measurements. The circuit board is finished, after several hours of tracing, etching, and soldering. 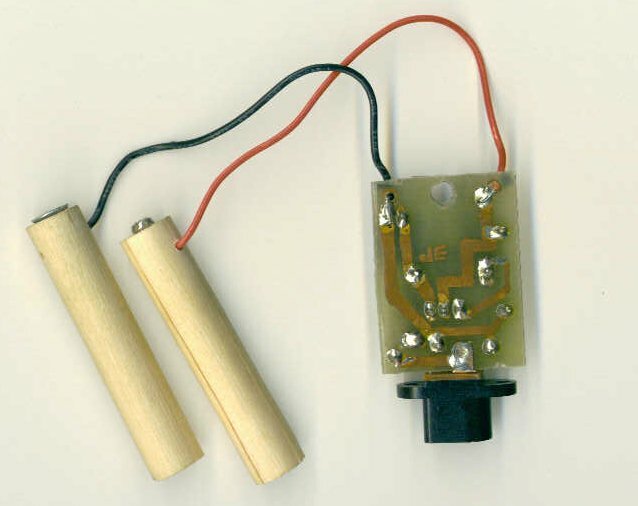 These wooden dowels fit into place like batteries. 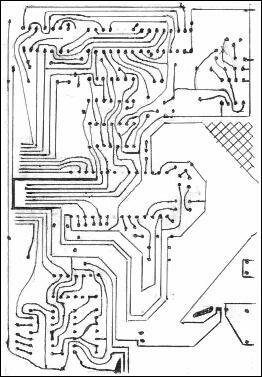 This is the bottom side of the circuit board. You can see the thin traces of copper, and the beads of solder connecting each pin of each component. The circuit board is very thin and sturdy, so I didn't need to seal it inside its own protective box. However, I did fashion a heat sink that cools down the voltage regulator. 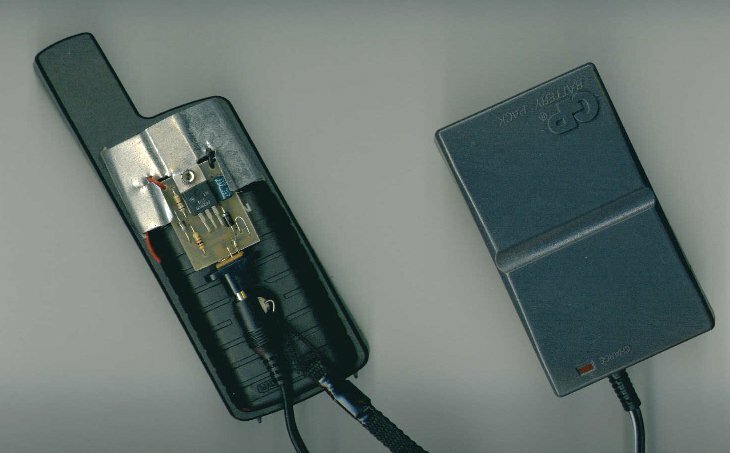 The finished product is a digital audio recorder. I apologize for the messiness; I was 15 years old at the time. PCB #1: Copper trace & solder view.